Are you looking to catch some great waves whilst on holiday this year? Then, look no further than North Devon for fantastic surf. 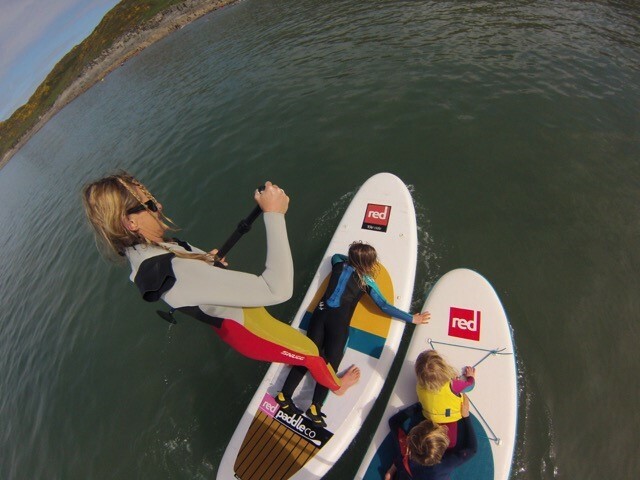 The stunning North Devon coastline famous for its dramatic rugged cliffs, clean waters, sheltered coves and golden sandy beaches is one of the most popular surfing spots in the UK. There are some fantastic breaks, where there is always a place to surf clean waves and surf, whatever your experience and ability. You won’t have to look hard to find the waves that are just right for you. 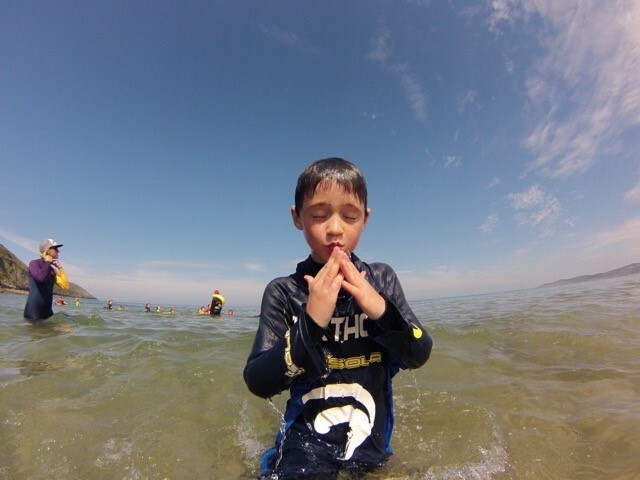 Woolacombe has won many awards for its three mile stretch of golden sands and is a popular choice for families and surfers looking to enjoy good waves. Plenty of swell produces regular sets of clean breaks and it can be surfed well on all tides, making it also ideal for beginners and those looking to body board. As these golden sands stretch on for miles, there is also plenty of space to avoid the crowds; it does get very popular in the peak season. The village is also only a short walk from the beach so after a day in the surf, we recommend either relaxing with a cold drink at The Red Barn whilst soaking up the view as the sun sets over the beach or perhaps enjoying a Sri-Lanka home-made curry at Barricane Beach (just a short walk around the corner). Putsborough, the same great beach as Woolacombe but at the other end! It’s usually a lot quieter than the main beach at Woolacombe but there is still car parking, a café and toilets. It has clean clear water and the shelter from the headland provides some excellent manageable waves. For the more experienced surfers, then head along the coast to Croyde. This beach is renowned for its great surf and being one of the best beach breaks in the UK. The waves are faster here and with strong rips, it’s a much more challenging surf. A well-earned pint at The Thatch in the village is a must after catching those waves. Follow the coastline to discover Saunton, a beautiful stretch of golden sands, where you’ll find a lovely mix of families, dog walkers and those looking to surf. There is a relaxed atmosphere, where slow consistent waves provide a fantastic spot for beginners and families, as well as surfers who enjoy riding long boards. And yes, there is more surf at Westward Ho!, best known for its two miles of golden sands backed by its famous pebble ridge, surfing is relaxed and casual here. It is also a very popular choice with kite surfers and kite buggies. 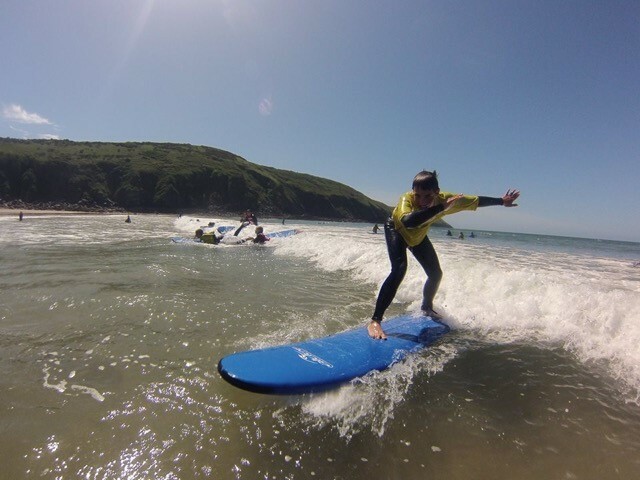 There are also plenty of smaller and less well-known breaks available too, so if you are looking to enjoy some great surf whilst holidaying in North Devon you really won’t struggle to find the waves for you. Check out our great selection of self-catering properties close to the surf and are just perfect for a holiday by the beach.